With more than 20 years in the Hollywood Auto Glass Repair business, we appreciate that your windshield is a critical part in your car's protection system. It protects you in a collision or rollover and can even support proper airbag deployment. It is because of this that you should consider taking into account what type of an auto glass Hollywood company you choose when replacing your windshield. 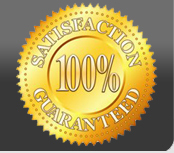 Hollywood Car Glass will offer professional service you deserve while guaranteeing that your safety remains intact. Our number one priority is your safety and creating a safe environment for you and your family. We perform quality auto glass West Hollywood services, and we offer customers the best service at the lowest possible prices in the Hollywood, California area of SoCal. Our auto glass prices are set very low in order to help you in case you're on a budget. We have the best techs in Auto Glass West Hollywood and the Auto Glass North Hollywood region. The reason that most of our customers pick up the phone and call us is because of our excellent reputation in the Hollywood, California area. Our word of mouth referral business has really taken off since we first opened our doors more than 20 years ago. We have celebrity clientele that have used and recommended us to their family and other celebrity friends. We know how to maintain our reputation and keep it at the best possible level to ensure your satisfaction. The primary goal of our company is to ensure our customer’s satisfaction while delivering the best auto glass craftsmanship that you will come across in the local region. When it comes to repairing something on your windshield, we are the go-to company for it. Our auto glass repair technicians have the necessary tools to keep your tiny rock chip for cracking all the way around, thus requiring a replacement. We prevent replacements from happening, especially on those really nice expensive vehicles. Most windshields are less than $200 but some can go as high as $1500. Why not repair it with a windshield chip repair service that can save you thousands. Give us a call today to get your free estimate on our work and to make your service appointment.